It is believed that Lizards have been on Earth for more than 200 million years. Yet there are so many unanswered questions about them. The evolution process is believed to have helped them to branch out, to diversify, and to have the ability to continue to thrive in a variety of different habitats. The size of the species of Lizards that we are familiar with today vary in size. Some of them are just a few centimeters long and don’t even weigh more than a couple of ounces. Others though can be up to 10 feet long and weigh up to 500 pounds. There is a small chameleon that lives in Madagascar and it’s the smallest known chameleon. Only it measures 1 in. There are some thoughts by experts that Lizards were once as big as dinosaurs. However, they began to branch off in order to survive and many of them got smaller over time. That allowed them to stay protected, to move faster, and to not need to consume as much food. The branching off for the Lizard has been remarkable and experts believe that such evolution has allowed them to thrive in just about any environment. When they had to make changes to be able to stay away from predators for example there are many options that span across the different species. For example some of them have a small horn but they don’t fight with it. This can be in place to be seen as a threat to potential predators. These species can also squirt blood from their eyes for a distance of several feet. Some of the Lizards such as the Chameleon are able to change color to blend into their environment and remain well hidden. There are also those that look like they have a third eye on the head but it is a receptor for hormone production. Yet to a predator they will think that it is a very dangerous creature and often keep their distance. What about the ability of so many species of Lizards for their tail to come off at one of the vertebrae if they need to escape a predator? This doesn’t hurt them at all, they simply detach it and run away while the predator is left with the tail and bewilderment. The tail will soon grow back but it may be slightly different in appearance and color. There are only two species of Lizards that produce a venom that is dangerous enough to kill humans. This is definitely part of evolution and it would be very interesting to find out what that characteristic stems from. Climbing is also one of the features that many species of Lizards has through the evolution process. They rely on padded feet and very thin hairs that you can barely see to help them grip and move with alarming speed. 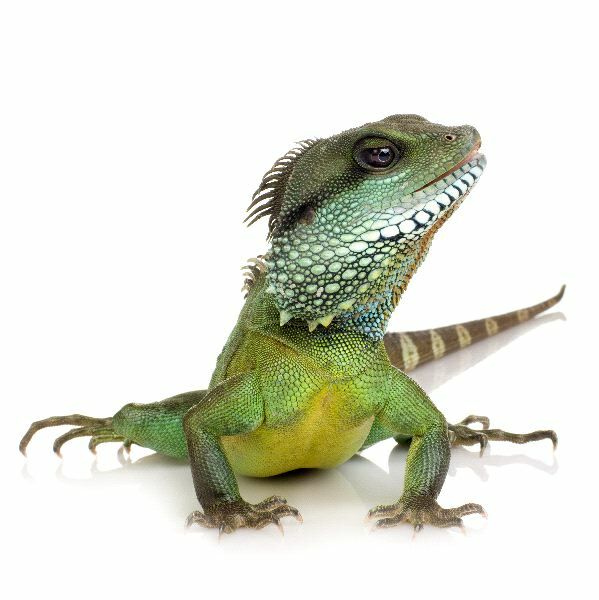 There are certainly many different theories about there about the evolution of the Lizard. With more than 5,600 different species to take a look at there is a need to really get involved with identifying the remains that have been uncovered. Linking them to the right species of Lizard can be complicated and time consuming. Yet there are many experts that believe through that process they will soon be able to find the link for many of the different branches of Lizards. They believe part of being able to successfully determine the evolution process has to do with what they can link to each other in regards to the various species and sub species out there. For the time being though so much remains a mystery. Hopefully some day we can have definite answers but for not it is very interesting to explore the many theories.